I have decided to do something new. I have been in a bit of a blogging funk for a couple of weeks now and so in order not to continue in this humdrum of a stage I have decided to start a series entitled “That’s A Wrap” basically highlighting what I have been doing all week. The things that tickled my fancy, choked me to near death, and various other stuff. The beginning of the week was pretty smooth sailing with our normal routine of getting all the kids off to school in the mornings. On Tuesday I took the girls to the park and then off to get slurpees with the beautiful weather. Then as Wednesday rolled in I got a call from the school saying that my monster B was in the nurse’s office with a “pink” eye. Lovely I thought as I hung up the phone. Off to the doctor to confirm that yes indeed he did have pink eye which is a very contagious eye infection. One doctors visit and a prescription later we are home and having to put drops in the eye every two hours and trying to explain to a 5, 4, and 3-year-old to avoid contact with one another. **starts laughing** Because at that point all I could do was laugh and hope that it didn’t spread to anyone else. Also rolling in with the pink eye was a rainy storm front ☔️which meant 3 toddlers stuck inside and a mommy trying to avoid the brink of insanity. First I harvested some fresh veggies from the garden and made fresh salsa. To say it’s 🔥a little on the spicy side is an understatement, and I swear that the longer it sits in the fridge the hotter it gets. 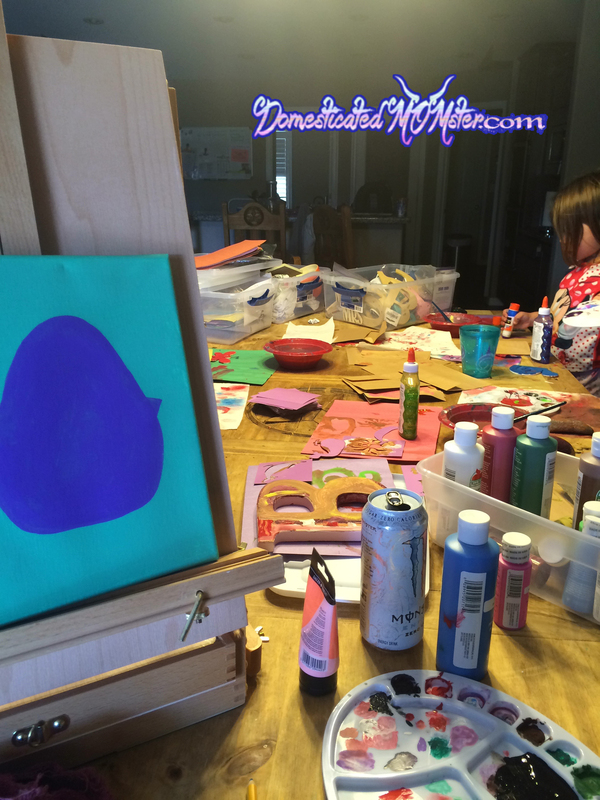 I got out every box of every form of art activity there was…including some of the Halloween projects that I had started last year. 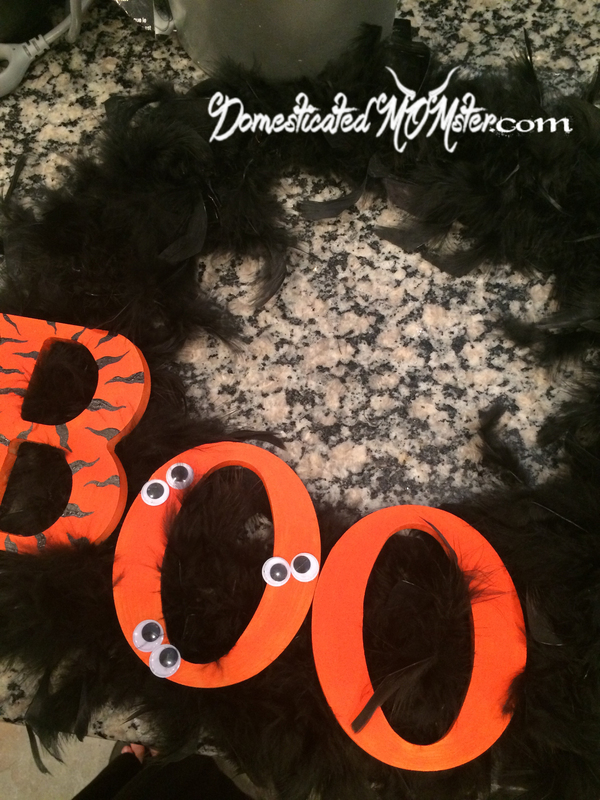 On the right is the start of a Halloween wreath…I plan to do a DIY post about it…maybe in time for next Halloween. I had bought all the stuff to make it last year but that’s about as far as I got. 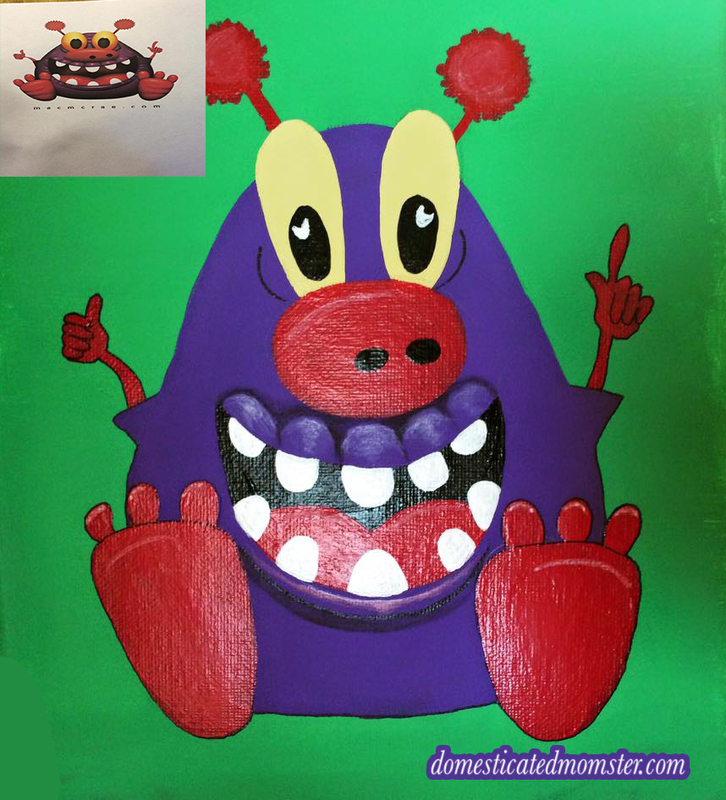 I am also working on a series of canvas monster paintings for the kids rooms. Below is my first one. He’s not quite done yet, just a few finishing touches to go. In the top left corner is the pic in which I painted from. The artist is Macmcrae.com. Check out his website he has some really cool art work. We had a morning soccer game ⚽️ in 50*F weather. And now I am watching the clouds roll in and the wind pick up wondering if there is going to be practice for monster M this afternoon. And teenage monster M has his homecoming dance tonight. Thank you beautiful! 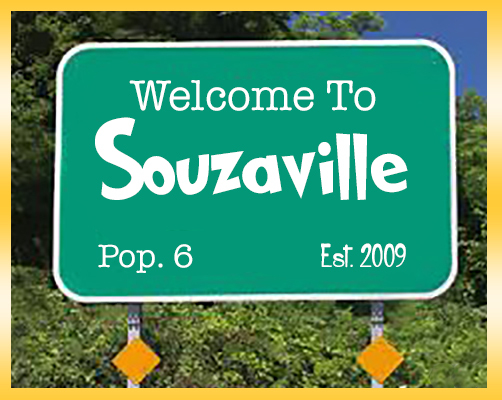 The blog suffered a bit this week but I thoroughly enjoyed the time with my babies …and even the pink eye and the rain didn’t get us down here at souzaville! I am determined to get it done! I loved your tree idea! Mine made theirs spooky …drew ghosts and spiders …they love spooky stuff just like their mommy. Thank for taking the time to read my friend! Even when the kids go outside my house somehow ends up in ruins. 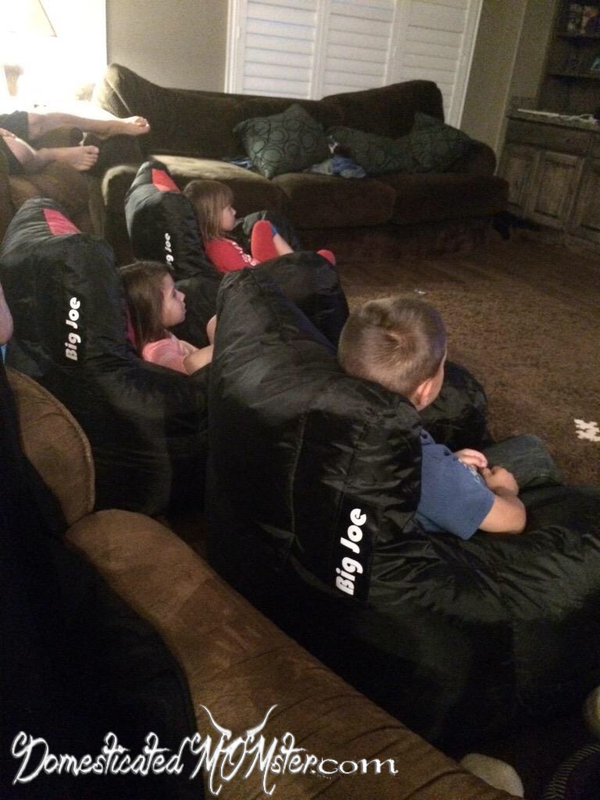 Just part of parenthood. I read a sign once that said “pardon the mess, my kids are busy making memories” and it really made sense. Sometimes you just have to let kids be kids and make messes. Congrats on your new linky and yes I will gladly be back again! Great idea to do a recap. The crafts are fantastic! I like the monster pics. And Gremlins- a classic! Great post as always! 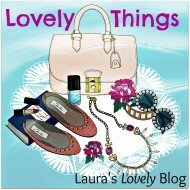 Thank you Laura :0) I just really haven’t come up with anything to write about lately so I will just blog for now! The pink eye spread to all 3…took them all 3 to the doctor and they are all starting a script and hopefully we will get it cleared up! I have a feeling it’s going to be a bit more going on this week 😉 stay tuned.